The Well-Read Redhead: Book Blogger Appreciation Week: Day 1! I still haven't read Bossypants! Must correct that. I hope you get to check it out! I am definitely due for a reread. Another Tree Grows in Brooklyn pick! Definitely need to get to that one. Haha, I am about to start checking out everyone else's intro posts, but it sounds like this is a common pick! Lol! Two of your books are on my list! Bossypants and Run Like a Mother. Great list! I'd had my copy for AGES before I finally got to it. Then I was sad that I'd waited so long! Oh how I adore Francie Nolan. She is just a magical creature. And Tina Fey rocks my world. Two fantastic women! You know, even if one isn't real. When I was pregnant I loved the humour books on pregnancy and toddlers. My daughter is 9 now and I just bought a book about the social media life with a child. Sigh Run like a Mother sounds like a great gifting book. Yes, the funny pregnancy books were definitely more my style than the What To Expect sorts of books. Pregnancy is not very glamorous, you have to laugh at it sometimes. :) Good luck with the social media book...a subject I am already dreading for the future! I think A Tree Grows In Brooklyn is a book that everyone should read. Such a wonderful story and I love Francie. Glad I'm seeing it on more than one list. I completely agree! A modern classic that I think is more accessible than some others. I am kicking myself. I HAD A Tree Grows in Brooklyn on my list and I took it off for Quiet! Which, is also an important book to me, but FRANCIE!!! I am so sorry Francie. Great list. I love seeing how books define all of us in different ways. I really need to read Quiet! I've heard so much about it, but have yet to grab a copy. As a mother of four who stayed home I agree that a sense of humor is essential! Books really help! Yes, I'm about to go check out everyone else's intro posts, and I am looking forward to seeing how others approached this prompt. There's so many different ways to consider it. Bossypants...hilarious!! I loved it. Great list! Nice to "meet" you! Nice to meet you as well! Off to check out some other blogs' lists! 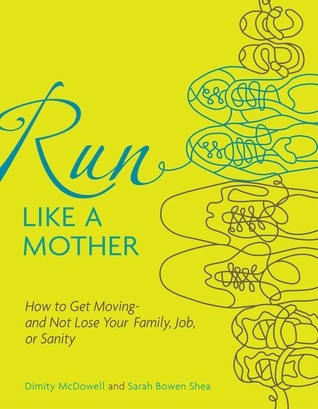 Run Like a Mother sounds like the perfect book for you! And A Tree Grows in Brooklyn, what a great choice. It's such a wonderful example of how through books we can find our common humanity with people whose life experiences are very different from ours. Perfectly said! A book does not have to precisely match your circumstances in order to create a common understanding. 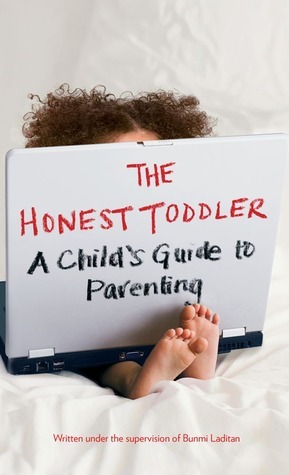 The Honest Toddler does sound like a great book. It sound like my type of parenting book--humor is a must! :-) Tina Fey is awesome. I really like her too, and am glad you included her book on your list. I haven't read A Tree Grows in Brooklyn yet. I have heard such good things about it though. Sounds like we are kindred spirits in a few ways! :) Glad we got to learn a bit more about each other today. 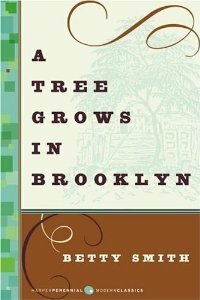 I love how you write about A TREE GROWS IN BROOKLYN. For me, the chance to connect with a character whose circumstances are wildly different from my own is one of the best things about fiction. Absolutely. Reading about things I already know/experience is not nearly as fun as submerging myself in something new. 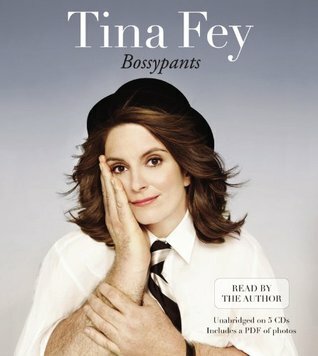 I haven't read Bossypants yet either! I gave it to my sister for Christmas a couple of years ago though and she told me she got lots of strange looks because she was constantly laughing out loud on the plane ride home. I'll have to get it on audio this summer! Oh yeah, I remember snort-laughing out loud at a lot of parts. I've heard the audio is awesome! Tina Fey (Amy Poehler too, for that matter)! You (and a few others) may have finally given me the push I need to read A Tree Grows in Brooklyn. I want to read Amy Poehler's book so badly! Can't believe I haven't gotten to it yet. I love the sound of Run Like A Mother! And I've seen Bossypants a couple times today! Yes, I think any female runners would love that book, there's a little something for everyone in it. Honest Toddler is hilarious...and I love Francie too. 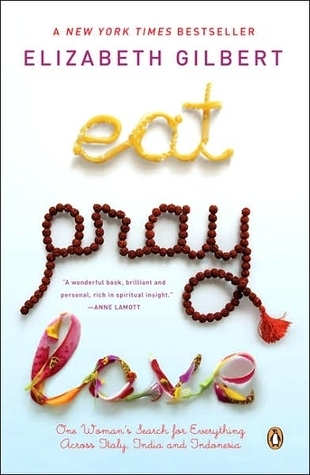 Yes, and I heard HT (Bunmi Laditan) has another book out now too, I have to check it out. I've only seen Honest Toddler on twitter, but I laugh every time I see a tweet! I should check out the book. Have you listened to Dad is Fat by Jim Gaffigan? Hilarious! HT book is basically HT tweets in longer form. So funny!! I heard about the Gaffigan book but haven't read it yet, I will look for it. Glad you understand the pleasure and pain of traveling with littles! :) We love it, and we love watching them soak in those experiences, but I usually need a vacation from our vacation afterwards. Haha.